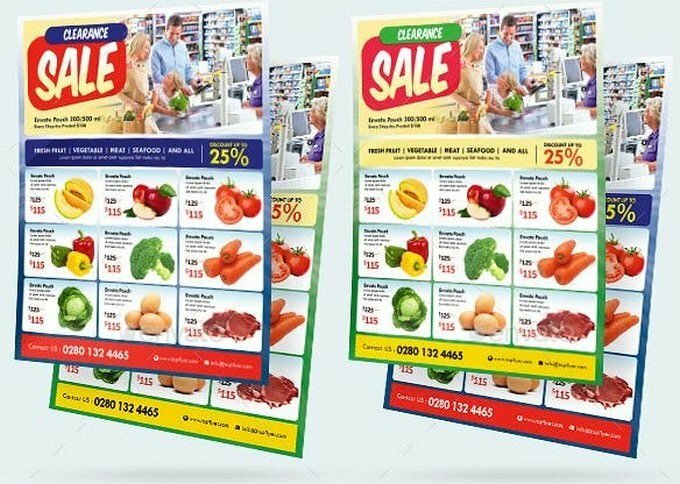 Your professionally designed supermarket Flyers are the best way to push your promotion above into nearly every presence your supermarket business has. Where you put all details about your product, discounts, offers and much more. 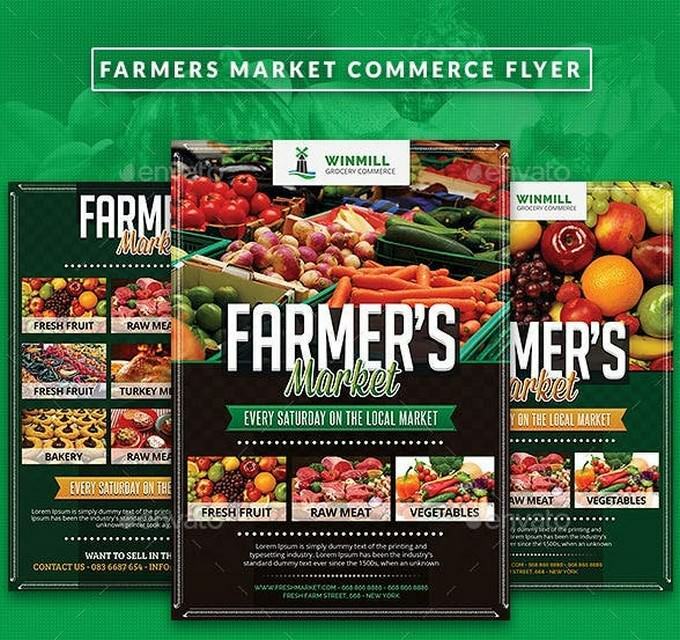 The importance of flyer design ties directly back into how people see your supermarket brand and how memorable your offer is. As we know, In today’s competitive world nothing is as crucial to emerge as successful brand as a good and effective marketing strategy. When it comes to picking the right marketing tools, Flyers are great, best, fastest, and most cost effective as well as traditional marketing method that have a surprisingly high ROI for business owners. In present day days, flyers are seen on different events at a large number of areas and spots, spread out all over urban communities and countrysides. This justify that some of the time the best way to get the word out remains to be through a traditional promotion utilizing flyers. 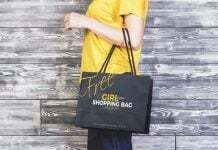 For Supermarket business owners, Flyers are not only the way to drop offers and discount to the consumers, but they also help you to build brand awareness. For getting that result, Picking the right and professionally designed flyer template is essential. 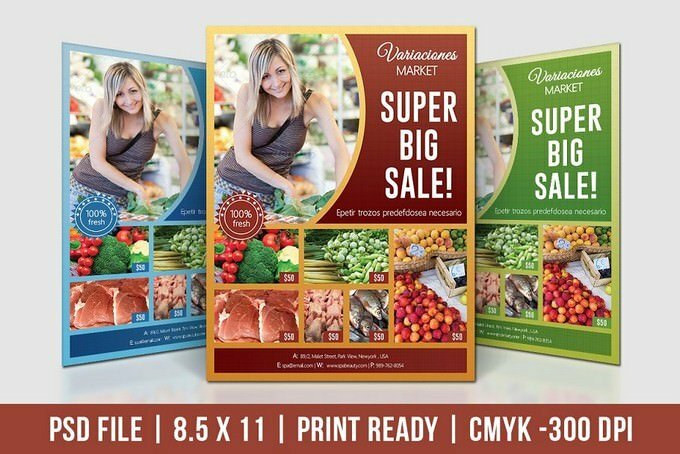 With the use of this professional supermarket product Flyer template you can create something truly amazing Flyer design with the right combination of a great photo and the ideal font. It’s perfect for any types of supermarket brand. 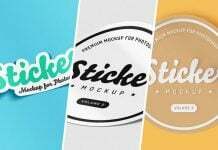 The template itself includes 3 unique design, which you can easily customize using Adobe Photoshop.It is made by simple shapes Although looks very professional. Easy to modify, change colors, dimensions, get different combinations to suit the feel of your event. 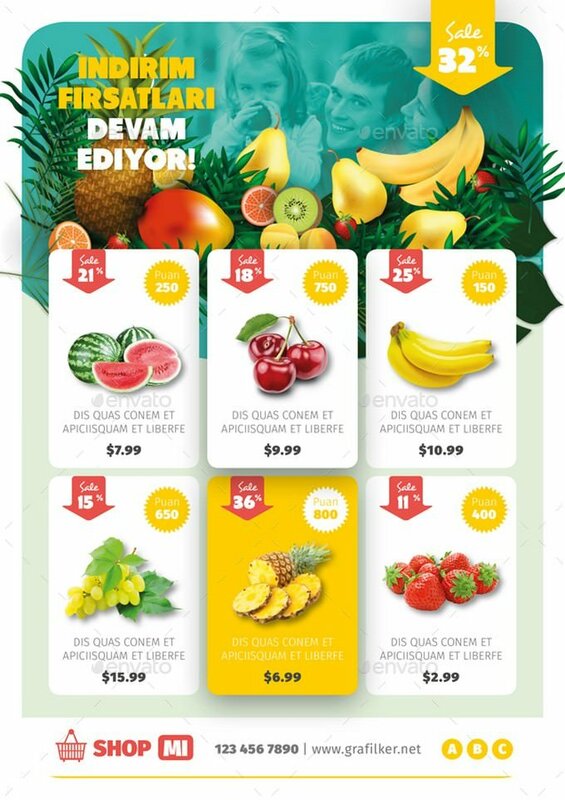 This beautiful, fruitful Product flyer template is the perfect way to attract more potential buyer towards your supermarket. It has a unique design and provides enough space for you to showcase your products as well as offers. 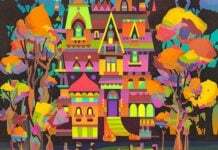 The template comes in Print Dimensions of 210 x 297 and it includes fully layered INDD and PSD file format. You can download and customize this completely editable, print ready template to fit your needs. 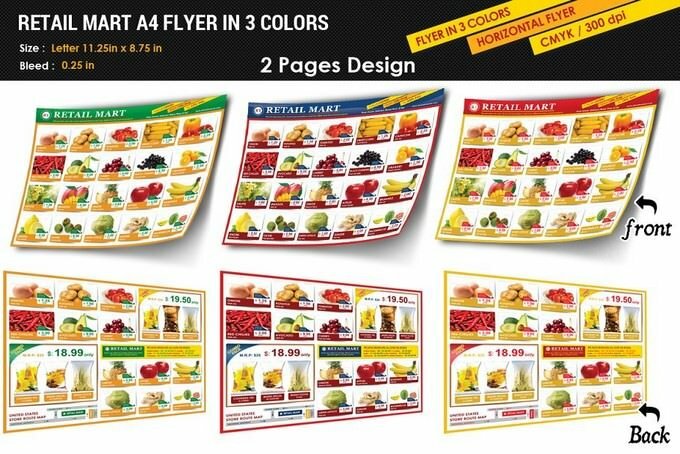 Using a product portfolio type theme for your supermarket flyer design can also help highlight its content more easily. It’s also commonly used by Shopping malls, super markets or product related business of consumable goods. This template is ideal for crafting that type of flyer. The template came with customizable text and color PSD with size of Size Letter (11.25in X 8.75in ). You can easily customize this template with the help of Photoshop. 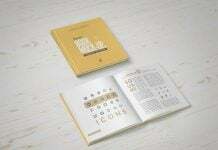 This gorgeous, creative and purposeful product flyer came with stunning design and high quality designs. 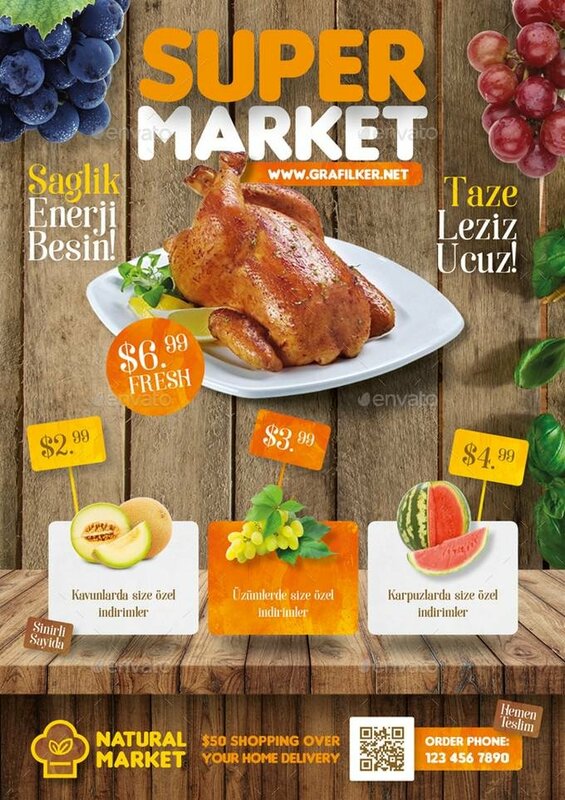 This flyer template’s can be used for promote your product, Supermarket, Organic Market, etc. The template includes front & back designs with editable colors, size, and elements. It came with A4 size in PSD file format. 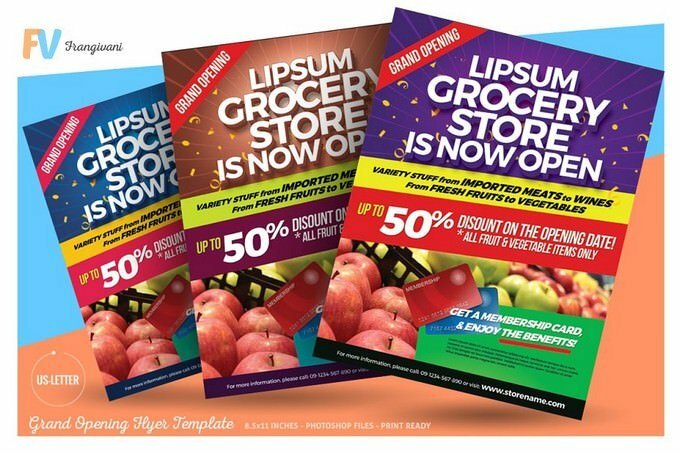 Here is another great supermarket theme flyer templates design well-suited for your upcoming sales flyer design. 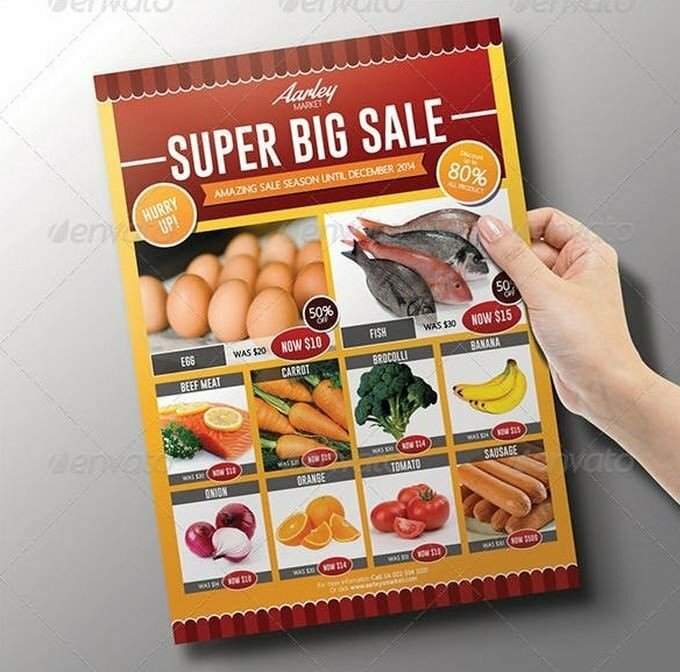 This template is also useful for deals, discount, grocery, shop outlet to create a unique design. The template comes with A4 size with 0.10 bleed. It is available in EPS file format. 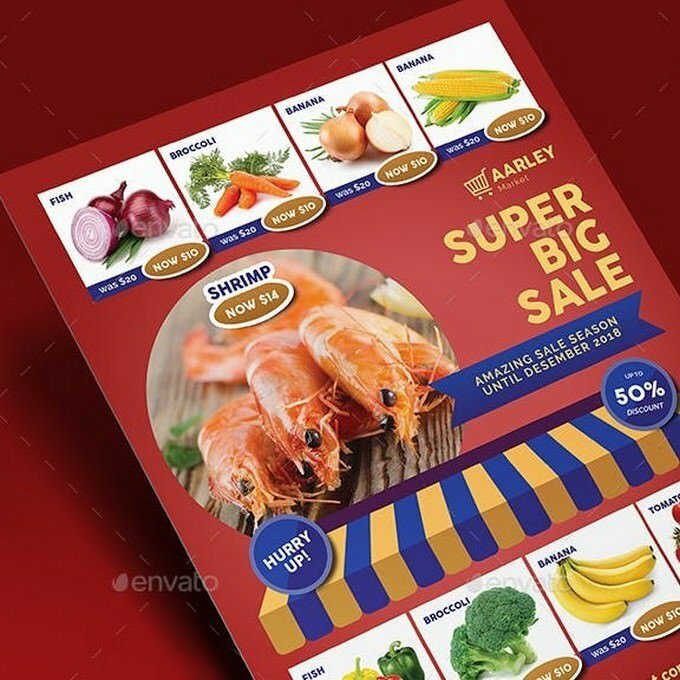 Are you looking to promote your supermarket with the help of unique flyer design, then this flyer template came handy.This flyer template uses a creative combination of fonts and style to make a perfect flyer design. It’s perfect for Supermarket product, Organic Market, Black Friday sale promotion, Electronic store, etc. 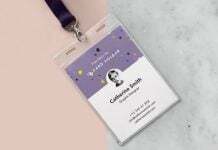 The template comes with 3 different design Variation and customizable text and color in letter size ( 8.5×11 inches ) with changeable images via smart objects. 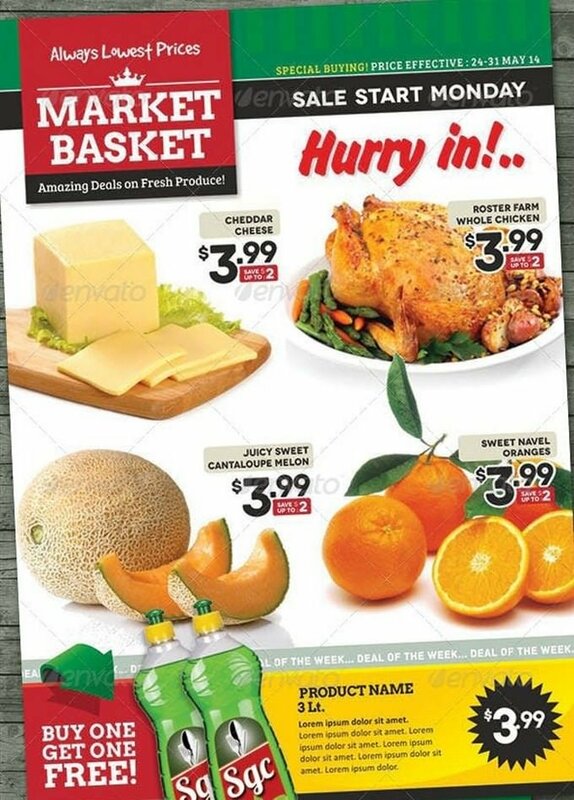 Here is a fresh looking, creative and modern flyer template for crafting more attractive supermarket sale design. This template features an attractive design with a big product portfolio. This template came with CDR and AI file format in A4 size, You can also easily customize this template to change its colors using Adobe llustrator and CorelDRAW. This is a professional quality, high quality promotion flyer templates. This template is the ideal solution for supermarket owners in need of a quick and easy way to establish a strong market presence. Use a bold and clean flyer design. It’s simple, yet tells a lot about the deals on your product. The template is available in fully layered INDD with print ready option. All Image are in vector format, so can customise it easily. 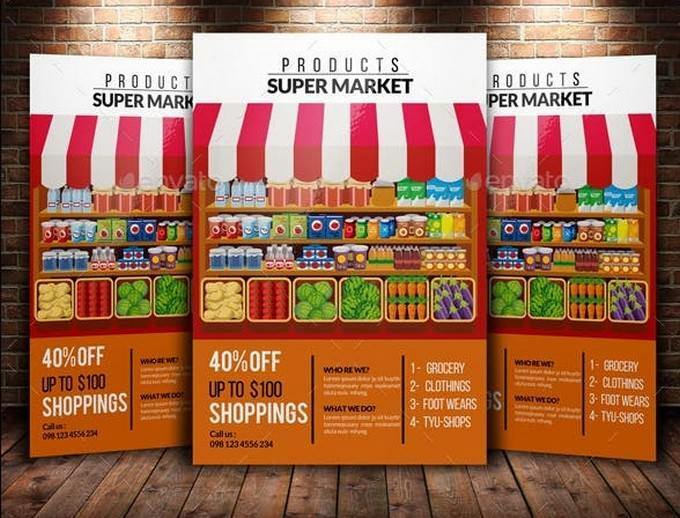 If you are in the search of flyer template for promotion of your startup grocery business, then this grand opening super market flyer template came handy. 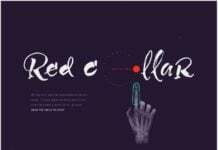 It is also ideal for event of a new store, shop, supermarket, etc.The template is available in 3 color-scheme variation, It is fully editable, you can change texts, photo placeholder and color scheme. 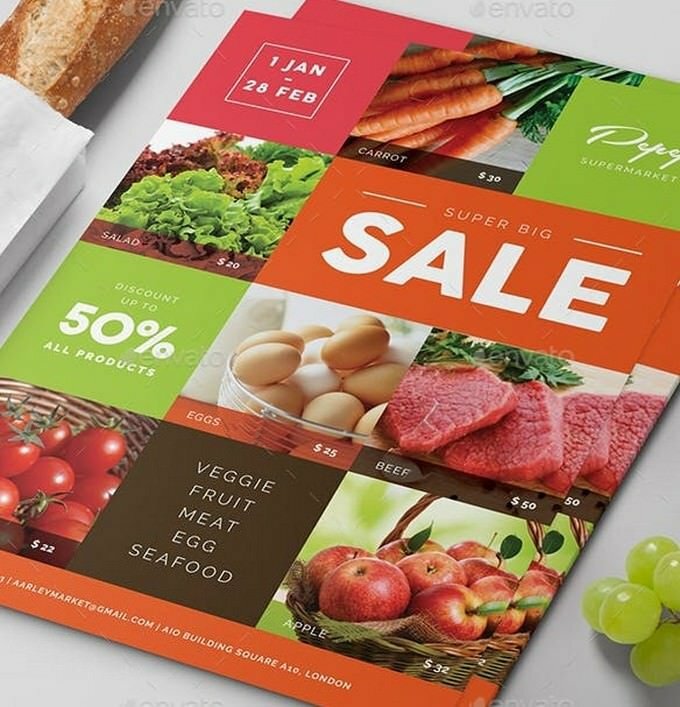 When creating flyer for supermarket promotion such as product discount, offer, or other purpose, it’s always best to use a simple and clean flyer design. 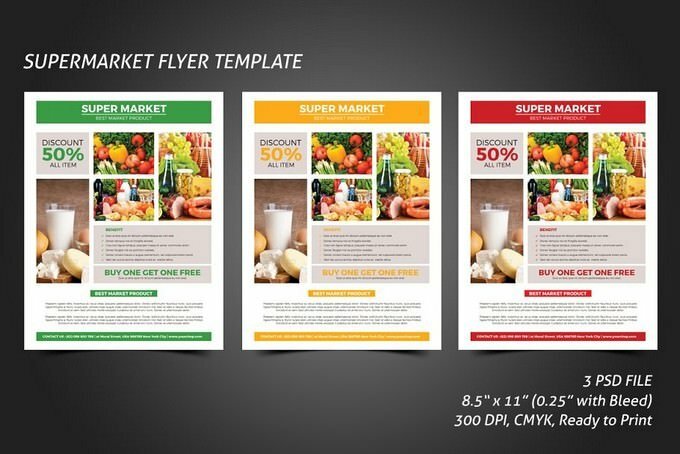 This flyer template comes with a clean and simple design that you can use with almost any type of supermarket promotion. The template is available in 2 color variants and All elements beside the image are fully editable. Going with a landscape smart, clear and clean creative business Flyer template is the perfect choice for crafting a flyer for a supermarket. This flyer template comes with a beautiful design and a design that helps showcase your product better. 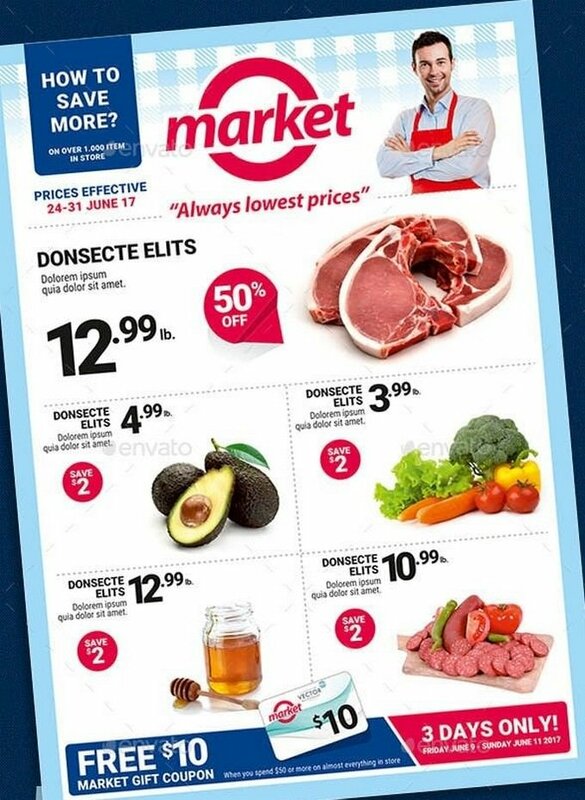 When designing a flyer for showcasing a supermarket product, it needs to feature an portfolio based design that represents each product saving. 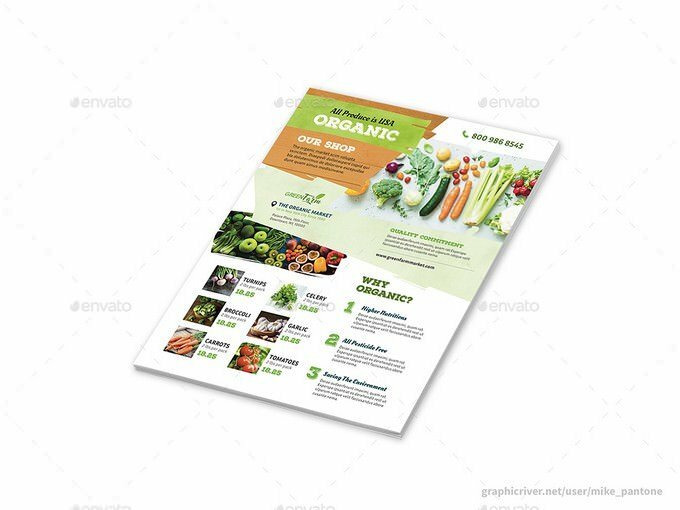 This flyer template comes with the perfect design to craft a professional flyer for any grocery business. It is an ideal solution for promote your product, Supermarket, Organic Market, Black Friday sale promotion, Electronic store, etc. The template available in A4 size with 3 design variation. It’s very easy to edit text and change images via smart objects.